Wholesaler of a wide range of products which include isopropyl alcohol, n-butyl alcohol, diacetone alcohol, isobutyl alcohol (iba) and propyl alcohol. 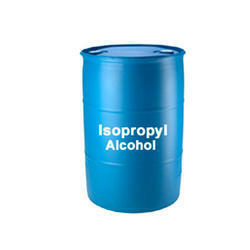 Isopropyl Alcohol (or 2-propanol) is a clear, colorless liquid and has a distinctive strong alcohol like odor. This solvent is highly flammable, with a flashpoint of around 11 13 C. Isopropyl Alcohol is soluble in most solvents, including water. The main user end markets for Isopropyl Alcohol product are the motor, paints, cosmetics and cleaning industries. The largest use Isopropyl Alcohol is as a solvent, cleaning product and a chemical intermediate. Isopropyl Alcohol can be found in paints, thinners for wood furnishings, inks, cosmetics, toiletries, household cleaning products, specialist cleaning products and room sprays. Isopropyl Alcohol can also be used as an anti-freeze and plays an important part in making the water component of petrol more soluble so that it doesn’t freeze. Isopropyl Alcohol can also be used as a biological specimen preservative with a solution mixture of around 90%. N-Butyl Alcohol is a four carbon straight chain alcohol. It is a volatile, clear liquid with a strong alcoholic odor boils at 118 DegreeC, and miscible with water. NBA is a highly refractive compound which corrodes some plastics, and rubbers. NBA is flammable strongly with a luminous flame. N-butanol is used as a direct solvent and as an intermediate in the manufacture of other organic chemicals e.g. Butyl acrylate and methacrylate, glycol ethers, butyl acetate, direct solvent use, plasticizers, amino resins, miscellaneous, including butylamines. Zealand. N-Butanol is used as Solvents for paints, coatings, varnishes, resins, gums, dyes, camphor, vegetable oils, fats, waxes, resins, shellac, rubbers and alkaloids. N-Butanol is used as Plasticizers to improve how a plastic material processes. N-Butanol is in Coatings as a solvent for a variety of applications, such as curable lacquers and cross-linked baking finishes. N-Butanol is used as Chemical intermediate or raw material for producing many other chemicals and plastics, including safety glass, hydraulic fluids and detergent formulations. N-Butanol is used in Textiles as a swelling agent and manufacturing garments from coated fabric. 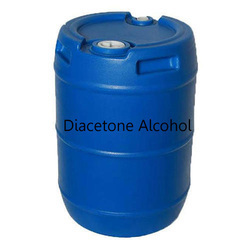 Diacetone Alcohol is a clear, colorless liquid with a mild characteristic odor and can gradually turn yellow during storage. It is a slow-evaporating hydroxy ketone that is miscible with alcohols, aromatic and halogenated hydrocarbons, esters and water. Diacetone Alcohol is used as a solvent for both hydrogen bonding and polar substances. It is miscible in water and used as a solvent for water-based coatings. 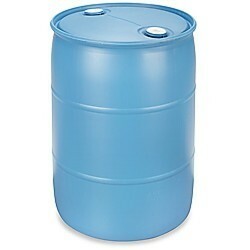 Diacetone Alcohol is used as a solvent extractant in purification processes for resins and waxes. It is also used as a component of solvent blends for nitrocellulose, acrylic, and cellulose acetate lacquers and thinners. Diacetone Alcohol is used as a chemical intermediate in the production of diacetone acrylamide as is having hydroxyl and carbonyl group in the same molecule. 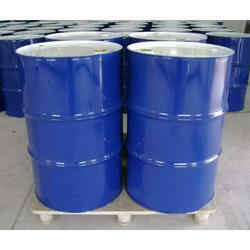 Diacetone alcohol is use in applications as a component of gravure printing inks. Other applications for Diacetone Alcohol include metal cleaning compounds, degreasers, stripping aids for textiles, and gum and resin removers in automobile carburetor cleaners. Manufactured by: France, Prasol Chemicals Ltd.
Isobutyl alcohol / Isobutyl Alcohol /Isobutanol is a primary alcohol and an organic compound. Isobutyl Alcohol is a colorless, flammable liquid with a characteristic sweet, musty smell. Isobutyl Alcohol only has limited miscibility in water, however is easily soluble in regular solvents such as ethers and alcohol. Iso butanol is highly flammable with a flash point between 26º C – 29º C. The main end user markets are the coatings, plastics, rubber, cleaning, textiles and motor industries. Specifications: Product Name Isobutyl Alcohol Synonyms 2-methyl-1-propanol, IBA, 2-methylpropyl alcohol, Isobutanol CAS No. 78-83-1 Appearance Colorless liquid Formula (CH3)2CHCH2OH. Assay 99% Min Molecular Wt. 74.122 g/mol Aldehyde 0.1% Max Color 10 APHA Acidity as Acetic Acid 0.01% Max Water Content 0.2% Max Application: Iso-butanol is used in paint solvent. Iso-butanol is used in ink ingredient. Iso-butanol is used in gasoline additive. 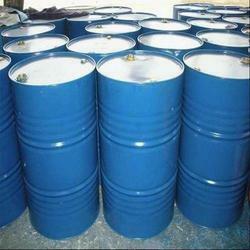 Looking for Isopropyl Alcohol Supplier in North India ?